Right now my studio looks like a field of Sunflowers! I’m working on a series of five oil paintings — each of a different sunflower. 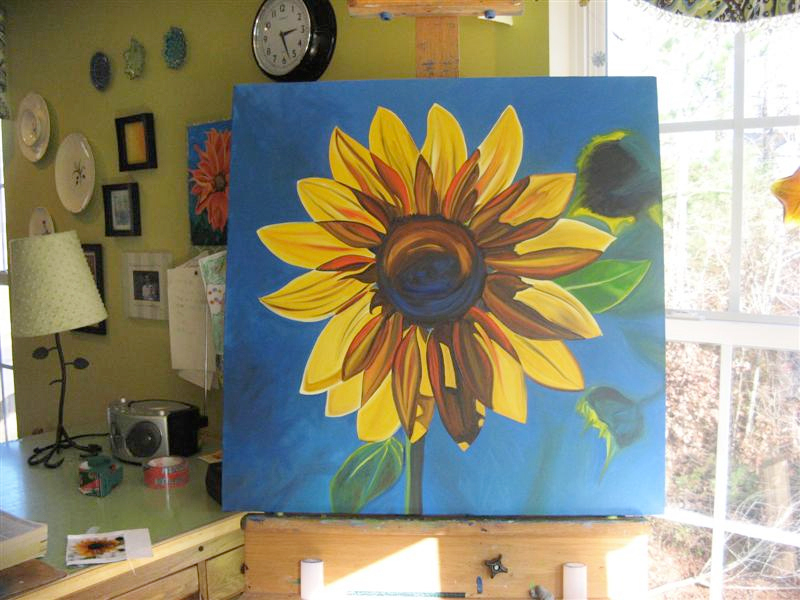 This particular sunflower is from a photo I took in the gardens at Furman University in Greenville, SC. If you’ve never been to this campus, you’d be amazed at how lovely the grounds are. You can expect to see more paintings from me in the future that are inspired from around the campus. I'm getting ready to work on the middle of this sunflower. I want to capture the texture I saw on the real flower. Here's another photo of the same painting, showing how I've painted in the middle. I need to let this dry for a few days before doing anything else to it or the colors will get all muddy. 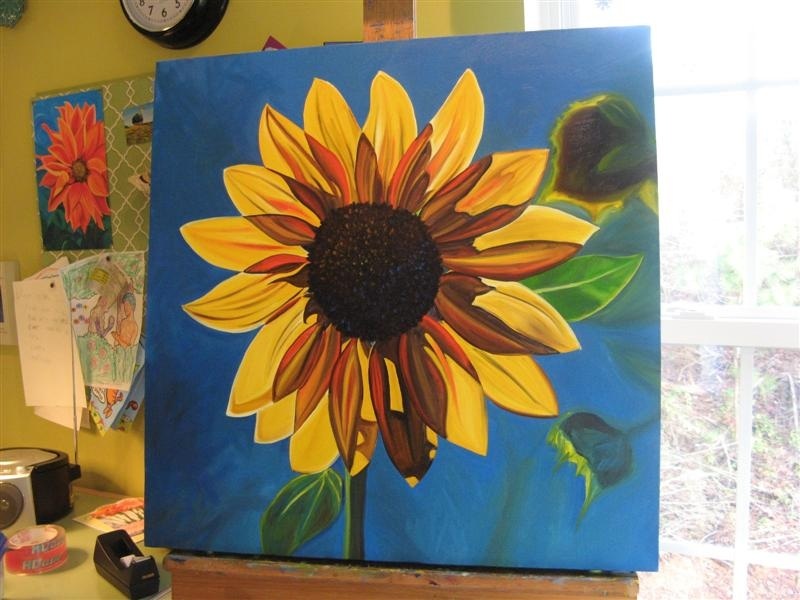 This entry was posted in sunflower #3 (Furman Flower), sunflowers, wet paint and tagged artist marie scott, artworks, blue sky, Furman University, Greenville artist, http://www.mariescottstudios.com, sunflower, yellow flower. Bookmark the permalink.